Need Self Storage in Gibbons? Place For Your Stuff is a locally owned self storage facility servicing Gibbons, St. Albert, Morinville and surrounding communities. Providing a secure, competitive, easily accessible storage solution for temporary and long term customers. 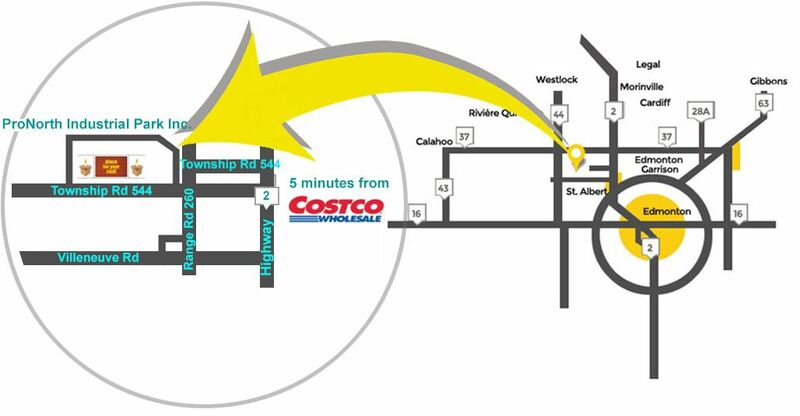 With convenient access from Highway 2, we offer the temporary and long-term storage solution for residents and businesses in Gibbons. Too much stuff? We have a place for your stuff! Whether you're looking for extra living space in Gibbons or downsizing into a smaller home, you won't find a more affordable storage facility than at Place For Your Stuff. Equipped with 24/7 gated access, interior and exterior LED lighting, motion sensor surveillance and online account management, whether you are looking for secure Storage Units in Gibbons, Place For Your Stuff is the right place for you. Call Jakub At (587)764-0119 We're here to solve all your storage problems! 857 units in a variety of sizes to meet your warehousing needs. Excellent Well Run Facility, great staff organized facility. Call Jakub At (587)764-0119Or reserve/rent now.